This production of Lovecraft’s famous story bills itself as “The World’s First Audiomovie” and despite other productions having made similar claims, I think this production’s claim is valid. I have seen several radio dramas having been referred to as audio movies, but that is merely a new name for a preexisting art form. Graphic Audio bills productions like Batman: The Stone King as “A Movie in your Mind,” but I think they come off as a hybrid of audio books and audio dramas rather than a movie. Especially since they focus more on producing an unabridged audio book which runs multiple hours rather than a standard movie length production. This audio movie does admittedly come off as a hybrid at times, but there is an in-story explanation for a character reading certain events. During the golden age of radio, many theaters stopped the films they were showing in order to play episodes of Amos ‘n’ Andy over their sound systems. However this was done to make sure people didn’t stay at home to listen to the show rather than as a standalone attraction. Only H.P. 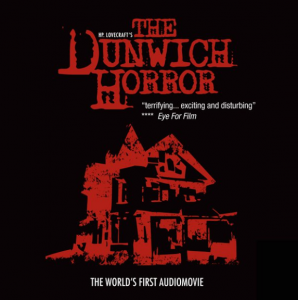 Lovecraft’s The Dunwich Horror was written specifically with theatrical showing in mind. In fact, it won the “Best of the Fest” award at the Edinburgh International Film Festival in 2010! Given how most audio adaptations of the story end up being well under feature length, it should come as no surprise that new material has been added. This material is mostly original scenes, but there is also an adaptation of Lovecraft’s “History of the Necronomicon” included to bring those unfamiliar with Lovecraft’s work up to speed. There has been some trimming of dialogue and details to get a running time more appropriate for those not used to an audio-only experience, but is still faithful for the most part. Other changes include changing locations of scenes, adding some comedic material and expanding scenes which are merely described in the story into dramatized scenes. According to the free commentary track released on the project’s official Facebook page, the relocation of a scene originally set in a room to a train station was done to make things more interesting to the ear. It is an understandable change for an adaptation to make and I completely support it. I’m less sure about the decision to include some camp comedy. Sure I laughed, but it felt out of place to me. Similarly, I would have preferred the use of actual whipoorwhill sounds rather than the (admittedly well-made) spooky replacement effects. The Suspense and 19 Nocturne Boulevard audio adaptations of the tale made whippoorwills sound creepy and I think Bang! Productions could have done so as well. I also wish they hadn’t removed some dialogue from the end, especially since I had always found it to be creepy. Lovecraft fans will know what I’m talking about once they reach it. The performances are good for the most part, with some exceptions. I thought everyone in the opening sequence were hilariously bad with the exception of Wilbur. Oddly enough, actor who portrayed the doctor’s performance was greatly improved when the character returned in a scene set years later. I have since learned some of the characters whose portrayals I enjoyed were performed by the same people who played characters I disliked! Everyone else delivers good performances, especially the person portraying Dr. Armitage. 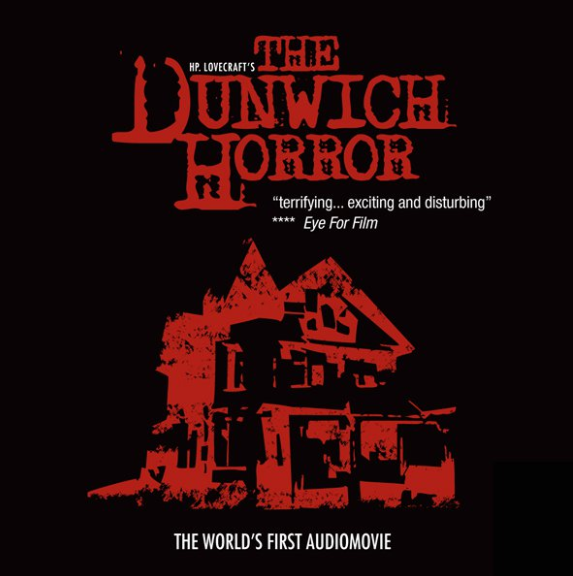 But when a cast member is dealt the task of the correct pronunciation of “Dunwich” or one of Lovecraft’s seemingly unpronounceable incantations, they always rise to the occasion. Whenever they provide descriptions of something from the story that was previously narration is natural and never sounds forced. They also handle the task of bringing the regional dialects the author described to life quite well. Oddly enough, Wilbur Whateley loses the dialect he used in the original. Not that it harms the story in any way. In fact, the strength of the story will hold the listener’s attention enough to make them forget such issues. The fantastic sound work doesn’t hurt, either! The soundtrack is great and never overwhelms the dialogue. The sound mixes for the horror scenes are especially amazing! Special thanks to Bang! Productions for the review copy!